Updated Tuesday May 15, 2018 by Whitby Warriors Lacrosse. 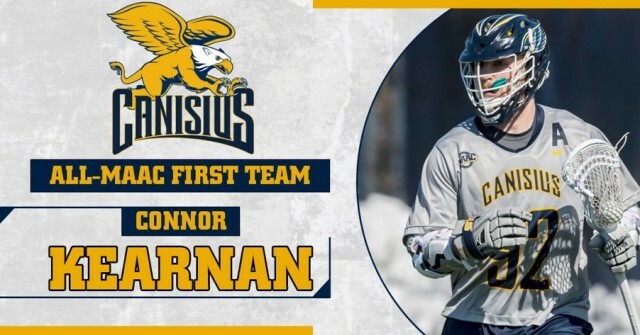 Senior Connor Kearnan a recent graduate of the Warriors JR A earned All-MAAC First Team honors for the second straight season after leading the The Canisius Men's Lax with 44 assists and 71 points. Connor was also awarded the 2018 Offensive Player of the Year.